Chili season is one of my absolute favorites, and for a long time I had the same recipe that I used over and over, year after year. It was classic and good, but honestly…slightly boring. 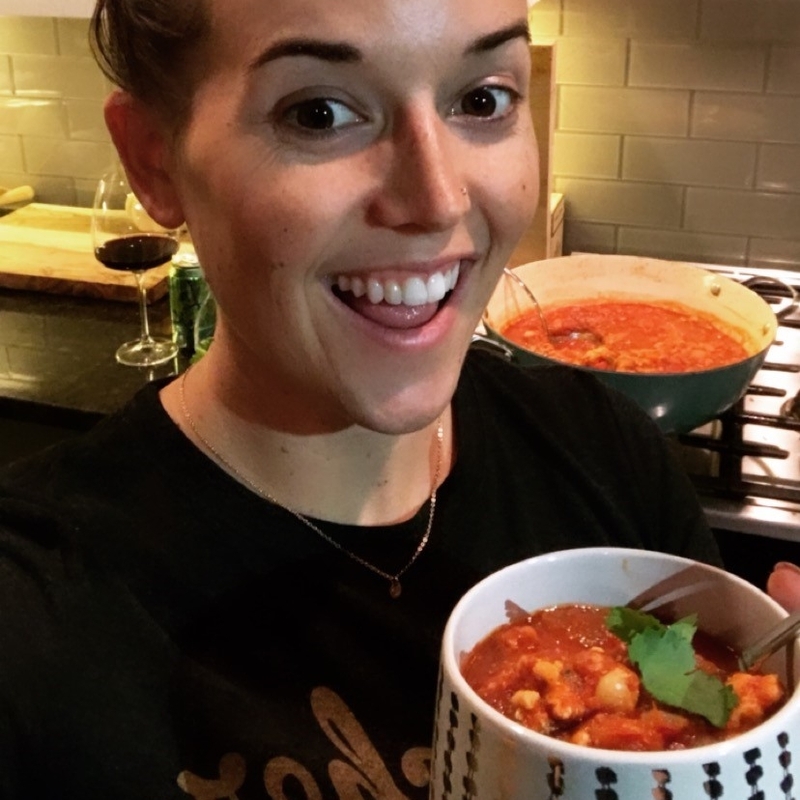 So I was excited when Nikki challenged us to make pumpkin chili because it forced me to step outside of my plain chili slump. 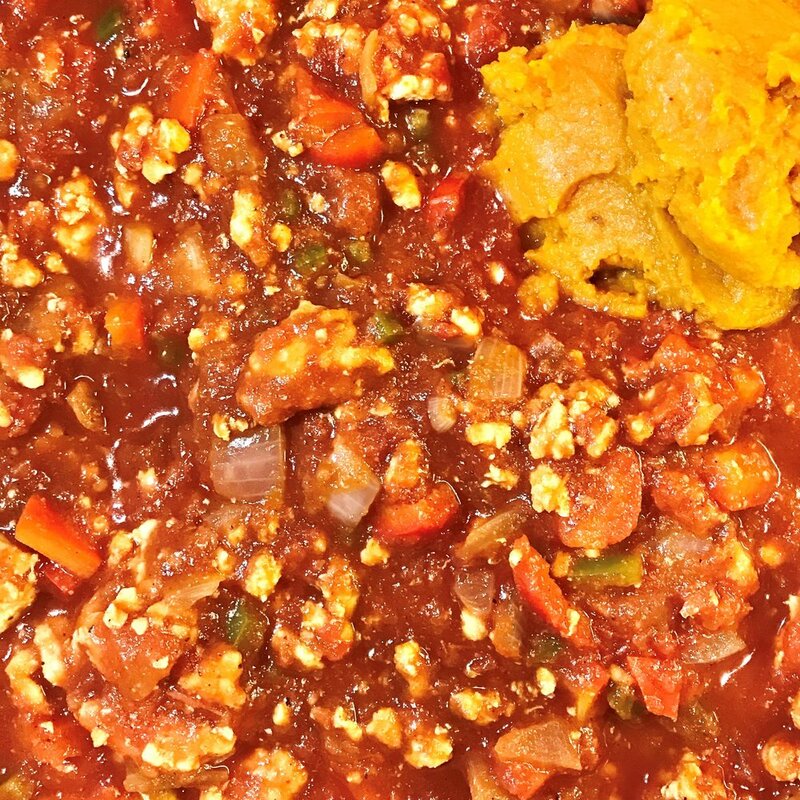 Now anybody who has made chili knows that you can get sucked into using 10 spices alone, so 10-ingredient chili is definitely a challenge. One thing that I have learned over my chili-making years is that it saves time and effort to make a large batch of your chili spices and keep it in your spice cabinet. This way, all you have to do when making chili is pull the one jar out, measure, and you’re done! 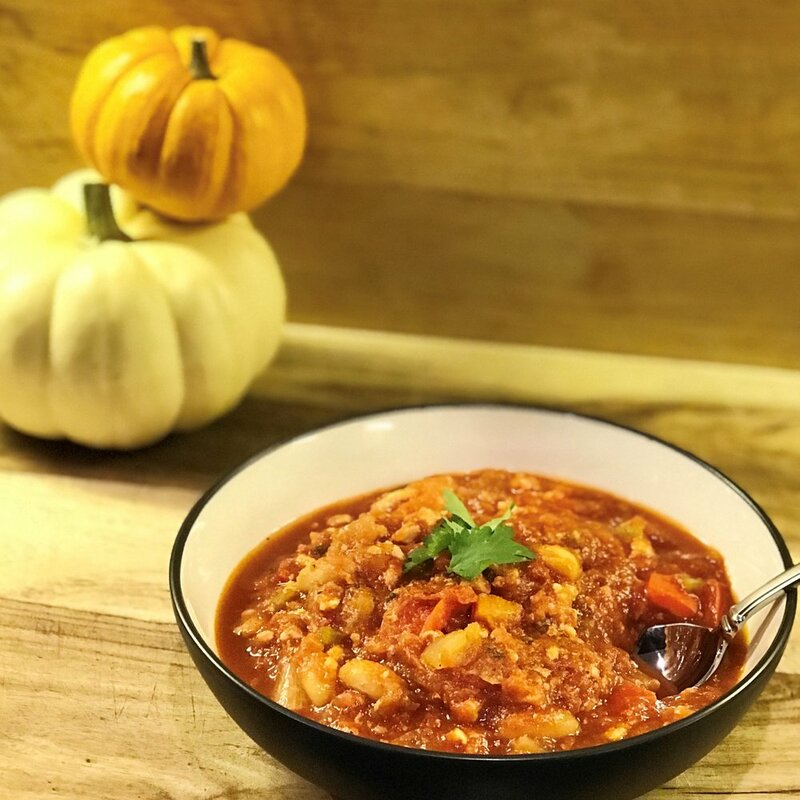 For this pumpkin chili recipe, I combined a little of my old standby recipe with some interesting new flavors like cilantro and pumpkin. I also decided to use ground turkey instead of my usual beef/bison combo. I have to say this is hands down my new favorite chili to eat and make! Notice the glass of wine—the perfect complement to pumpkin chili! To a large Dutch oven over medium heat, add the onions, olive oil, and garlic; cook until the onions begin to look translucent. Add the turkey and cook until a little pink remains. Then add the tomatoes, bell peppers, chicken stock, and jalapenos. Continue cooking for 5 to 7 minutes. Add the cannelini beans, pumpkin puree, and chili spice mix, then cook, covered for 20 to 25 minutes. Remove the chili from the heat and add salt and pepper to taste as needed. Divide into bowls, and garnish each with about 2 teaspoons of the cilantro. Enjoy!